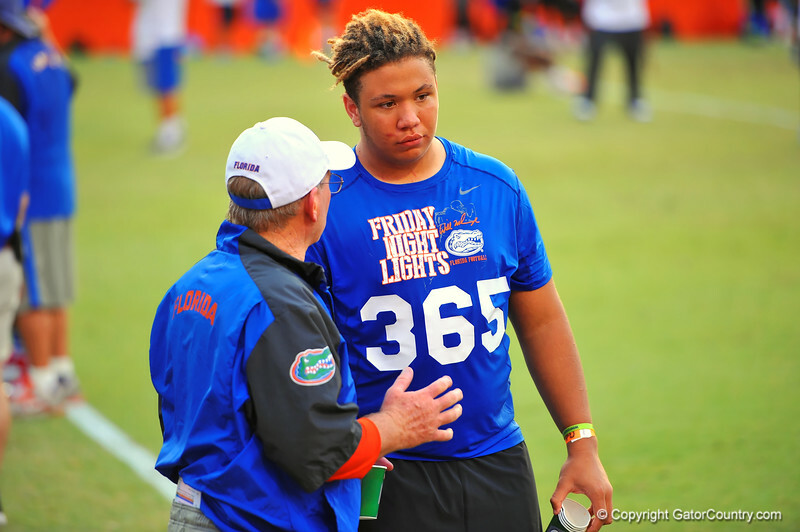 Offensive lineman Matthew Burrell Jr.
Florida Gator offensive line coach Mike Summers coaches up 2015 recruit Matthew Burrell. 2014 Friday Night Lights. July 25th, 2014. Gator Country photo by David Bowie.